Aura may be defined as ‘a subtle invisible essence or fluid said to emanate from human and animal bodies, and even from things; a psychic electro-vital, electro-mental effluvium, partaking of both mind and body, hence the atmosphere surrounding a person.’ The Aura is usually seen as a luminous atmosphere around all living things, including what we regard as inanimate matter. 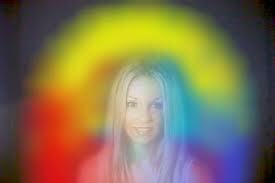 Aura healing is also known by the name of energy healing or the spiritual healing. It is an excellent healing process which unleashes all the blocks and unwanted energy and lets the required energy flow in its own pace throughout the body as it heals. Valentine Greatrakes, a native of Ireland, used magnetic techniques for the purpose of healing, in the eighteenth century, by what is popularly known as ‘laying on of hands’. Magnetic healing is usually done by what is known as ‘passes’ made by the hands over the body of the patient or by laying-on-of-hands or by the use of healing oils. The etheric aura is not only a receiver of forces, but also a transmitter, and the flow of energies through it may be directed to other things apart from human bodies. Animals may benefit from the forces directed upon them through the etheric aura, and along with them the veggie kingdom may be beneficial as well. There have been many experiments by some human beings for the good or bad on the vegetable kingdom, and it may well be that those people who possess the traditional green thumbs are people with the power to transmit the energies to ailing plants. They themselves do not consciously realize their possession of this power. In fact it may often help, since their conscious mind is for the moment out of the way, and the sub-conscious mind has a chance to bring the etheric mechanism into action. But not only can the etheric energies be transmitted to human beings, animals and plants, they can also be poured into and charge inanimate objects such as gemstones healing, jewels, oils and so on. These objects will then act as a kind of magnetic battery, pouring their charge of energy out as required. When this charging or magnetizing is done by someone who understands the principles involved, the object so charged becomes not merely a battery that will discharge itself until its charge is exhausted, but will also be linked up with several universal energies, and so remain charged and potent for healing, or for any other purpose for which it is originally intended. 1. 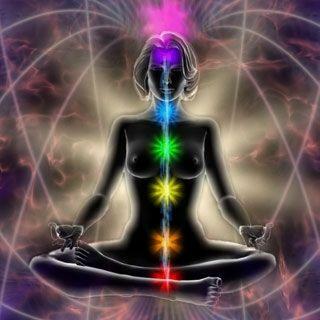 The first and foremost step to the aura healing process is to calm down yourself with the help of deep meditation. You need to be present as a spirit in your body. 2. After that the healer frees you from all your psychic abilities and also sets free the unwanted energies from your body. 3. The healer further goes ahead and enhances your creative and in built energies through the energy centers of your body - the Chakras. 4. Finally, the healer ends by helping to understand the limits of your aura. The Auric field is something which cannot be felt and seen by anybody and everybody. For the purpose of seeing this particular field with naked eyes, it is necessary to develop psychic abilities which can only be achieved with the help of psychic powers.